So we are still in the dead of winter here in Montreal and yet I can not stop thinking about spring. Oh my how I long for warmer weather and brighter days! I have been looking at lovely homes to keep up my spirits and fell on this sweet place. 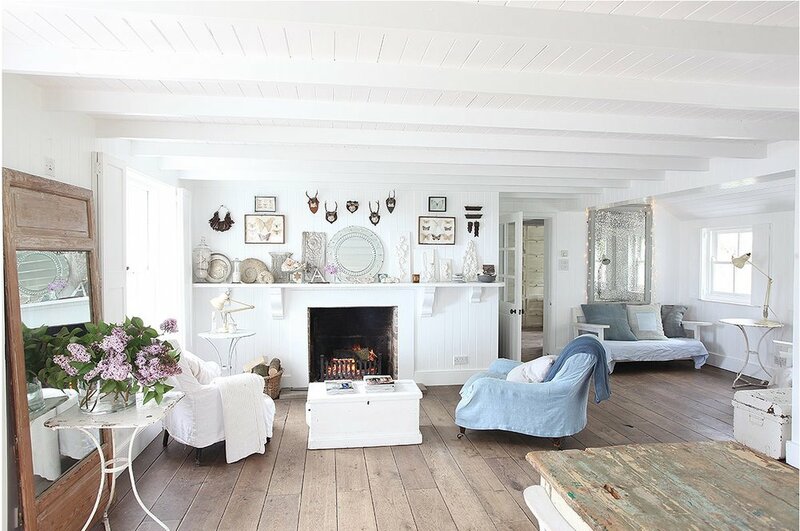 I love this light and bright little home with the blue touches throughout. 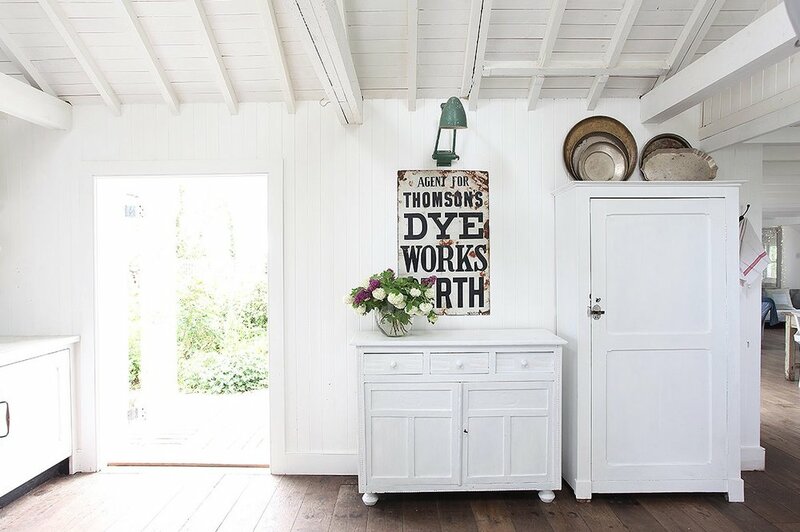 It features all of the elements I love including several collections and a mix of white with various tones of wood. 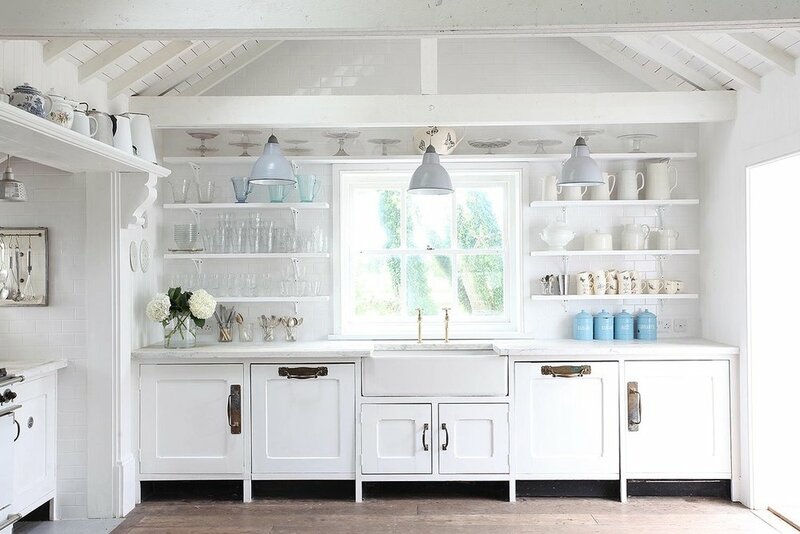 The kitchen is always my favourite spot, here with open shelves and a beautiful deep farmhouse sink. It has been a long time since I blogged so I wanted to bring you up to date today. It has been a busy year with new ideas and new adventures. The first is that I wrote a book with two wonderful collaborators called SAISONS La table végane (which means.. Seasons: The vegan table). One is my daughter, the New York based photographer Chloe Crane-Leroux and the other a wonderful chef by the name of Julie Zyromski. 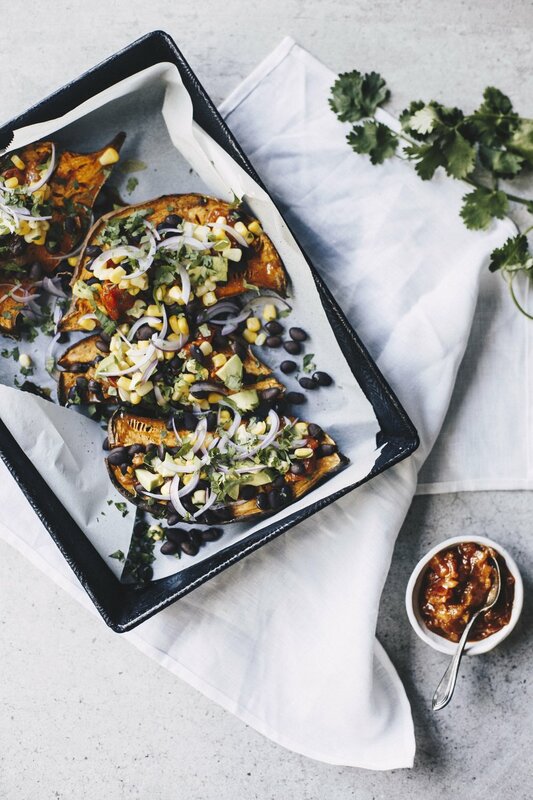 The book is filled with over 100 amazing vegan recipes and great lifestyle tips and ideas from setting tables to how to incorporate more plant based meals into your life. It is only in French right now but we are working with english publishers to get it out in a Canadian and US version. Through the development of this book we also created a new brand called Meadow and Land. You should go there to discover our philosophy and our focus, which is all about bringing more attention, beauty and meaning to the table and to your life. We believe that so many of the most wonderful moments in life happen around the table and we help you find ways to make each meal meaningful and beautiful. We started on this book two years ago, really just trying to find a way to be creative, without a publisher. We were not sure even that we would publish it but it was a way for us to do what we love and that is to set gorgeous tables, with great food, in picturesque settings. When I brought it to an editor friend she said "WOW" and off we went to the publisher. With much hard work over the past 5 months to complete the book we are launching it on November 16, 2017. I have to say it is like a baby and we are excited, scared, emotional and thrilled to bring it into the world. Tonight we are being featured on a TV show in Quebec with a wonderful chef by the name of Josée Distasio. The program can be watched on line as of Monday October 30, 2017 on Telequebec. Some is in English with subtitles and some in French. We also have a month filled with the launch party, articles in the news, book signings and so much more. Keep an eye on my Instagram stories as well as Chloe (@chloecleroux) and Julie (@jzyromski) for updates. I have been spending most of my time on my ceramics business this year and not much on design but my apartment has been used for many photo shoots, events and interviews this past year and I seem to still get a chance to talk about all my ideas on design somehow. Thanks for following even though I have not been blogging over that past year. 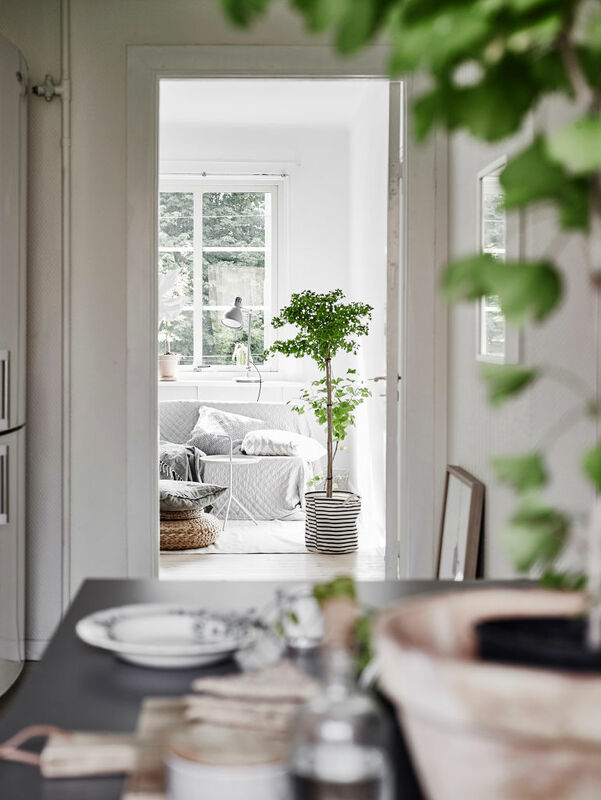 Well it feels great to be writing about design again..... so to start I want to show you this wonderful apartment in Sweden that is full of amazing light and gorgeous style. The apartment is narrow so small furniture is used to give the appearance of space but I personally prefer to see a few large scale pieces in a small space. I find it becomes a focal point if used well and can almost make the room feel larger. Of course I love all of the plants and what they have done with them, but I also love the balance of texture and simplicity throughout the apartment. 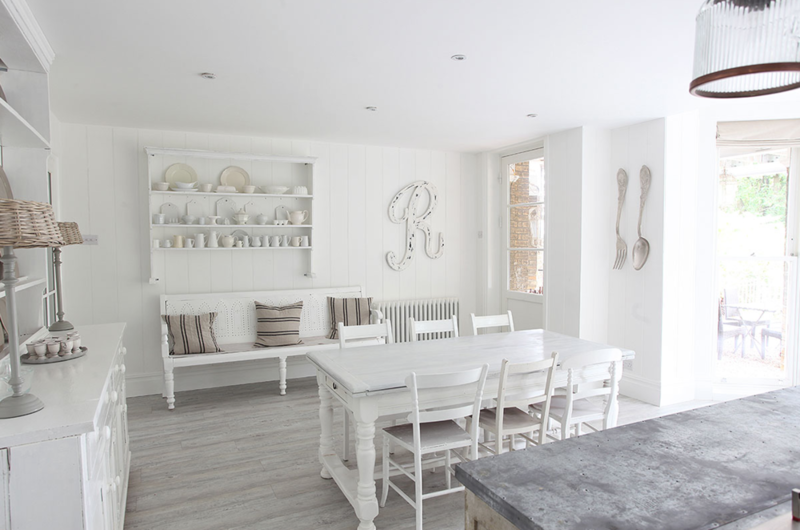 They have incorporated rattan, stripes and knits in neutral tones and of course all white walls...my favourite. So many great ideas here to incorporate into any home. The hanging light in the bedroom from Ikea is a great buy and adds so much style to a space. I may have to put one in my office (where I currently have a single bulb hanging from the ceiling). And what about tall plants on a table...an idea I happen to love! Hi all! Hope you are all doing great! I know ...it has been a long time since I have been on the blog but I am back and hope to post more regularly this fall. It has been a tough year with many personal challenges but I feel ready to get back at it and talk design and ceramics once again! I have been doing some fun collaborations with super companies like Oatbox. Take a look at the Silver Spoon blogger and Instagramer event they had in a lavender field just outside of Montreal. Check out my dishes on the table! I moved into a beautiful apartment in Old Montreal. The building was constructed around 1875 and has retained many of it's amazing original features. My apartment is featured this month on the cover of House and Home magazine so pick up a copy. But the best thing to happen so far this year was watch my daughter graduate from Parsons University in New York. So proud! Tell me how your year is going so far!! I would love to hear from you. This Victorian home in the English countryside is available for rent from Light Locations. Each room is an example of how to modernize these homes without losing their incredible charm. I love the old stoves in both kitchens and the light floors and walls. The living room feels cozy and warm in grey and is quite a contrast to the all white interior in the rest of the space. The outdoor patio is just the added touch to this lovely home. I am in the process of looking for a new home and there is so much that appeals to me about this wonderful renovation. The home is small but so well designed. It has a nice flow that makes the space feel larger and the open stairway keeps it from feeling closed in. Small scale furnishings are perfect for the living area and the kitchen...well now that is sweet. I am so into this blue kitchen, subway tile combination and with brass handles it just takes it to the next level. 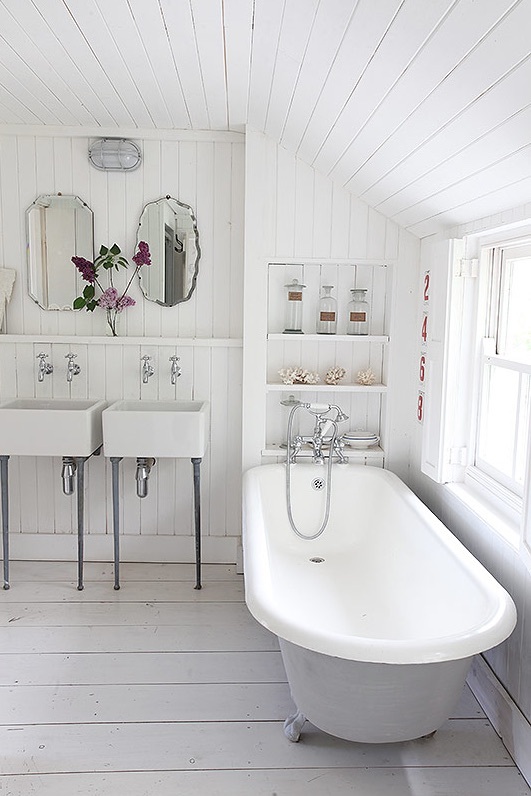 Nice large farmhouse sink so complete the transformation......I think this may be what my next kitchen looks like!